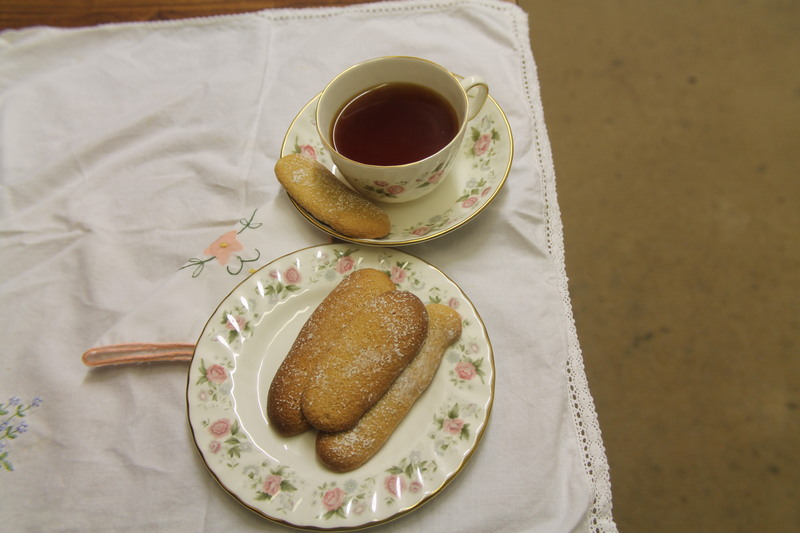 Savoy Biscuits or Lady Finger cakes can be eaten alone – with a cup of tea – or used as the sponge in a trifle. Remember we made a trifle with trifle sponges broken into pieces well you can use these if you like instead. There are softer and soak up the alcohol better or you can just eat them as a little cake. Either way they are quick to make and tasty. The recipe is a fatless sponge one. You can use a piping bag with the end cut off and a plain nozzle in or you can just make them round by dropping a teaspoonful of the mixture onto the baking sheets. We are using plain flour so we need to get as much air into the mixture as we can so start by separating the eggs and put the yolks and half the sugar in a mixer and beat well. Whisk the egg whites until they form soft peaks and then gradually and carefully add the remaining sugar. Now put everything together and fold in the sieved flour. Taking care not to knock the air out. 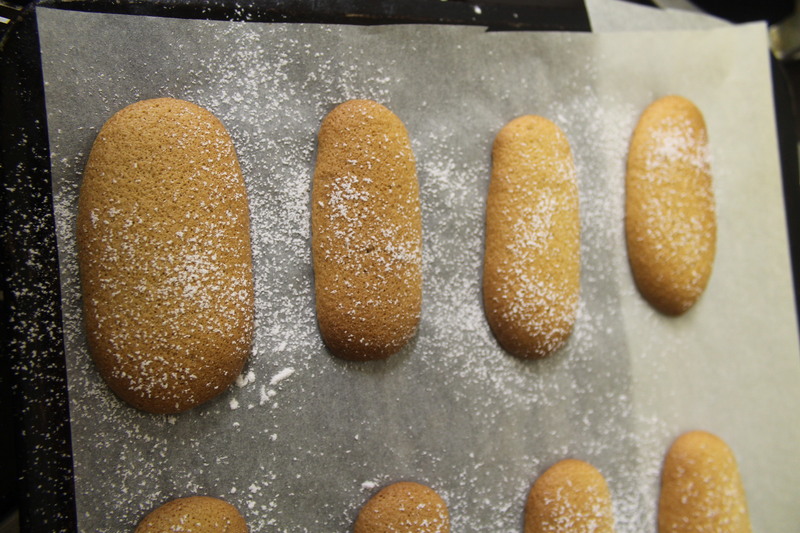 Put the mixture into a piping bag and pipe fingers onto your baking sheets. Cook for only 15 minutes until firm to the touch and a nice colour, not too pale and not too brown. Dust with the icing sugar and then place on a wire rack to cool completely. They can be frozen for later use or stored in an airtight tin for a dew days. Enjoy fresh from the oven with a cup of tea from our new English Tea Store sampler packs!